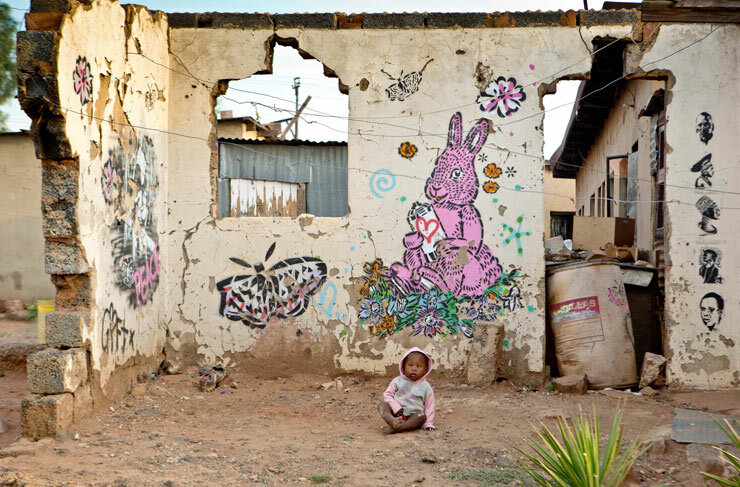 Today we take you to Kliptown and Soweto in South Africa where we find artists Falko and Rasty collaborating and ethnographer/photographer Martha Cooper capturing the action of the painters, as well as the games and color of the streets. 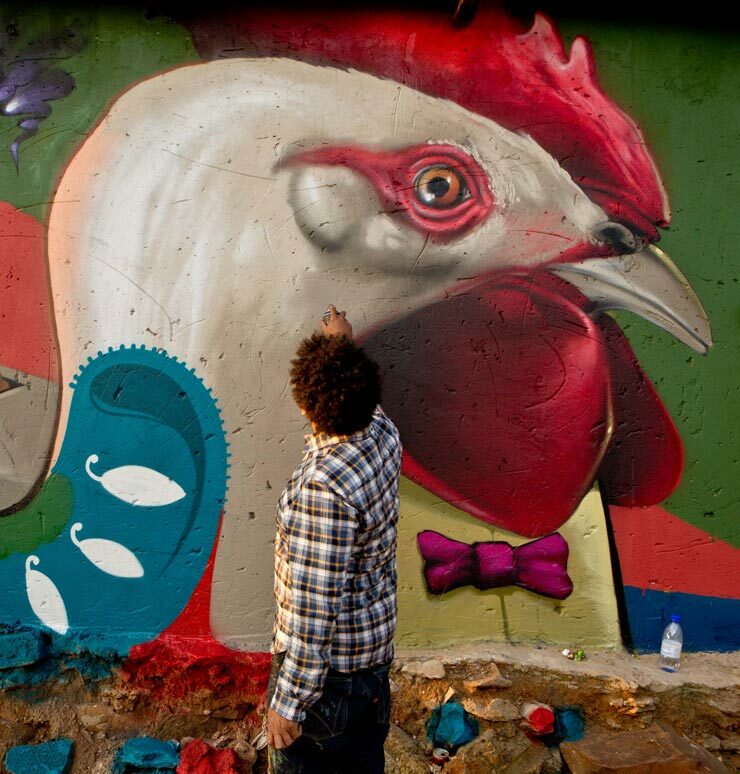 “Falko and Rasty have lost count of the walls they have painted together, and exchange very few words while they worked. 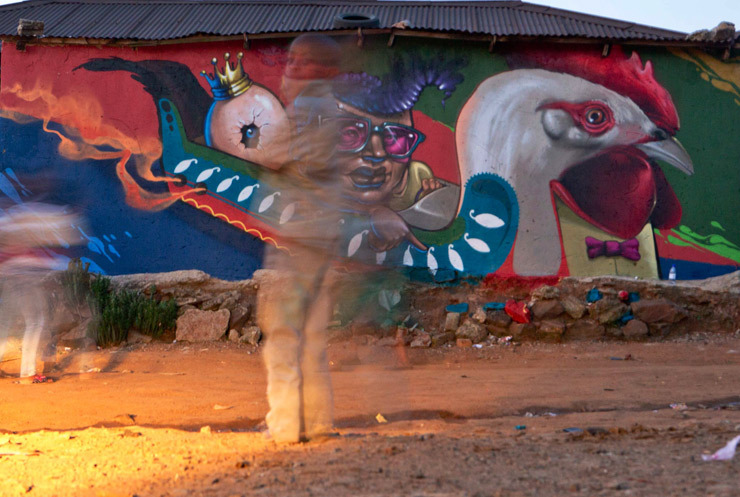 They both are technical masters of their styles, but don’t get closed off to their environment while painting, always finding a way to befriend the curious passerbys who stop to look,” says Pybus. 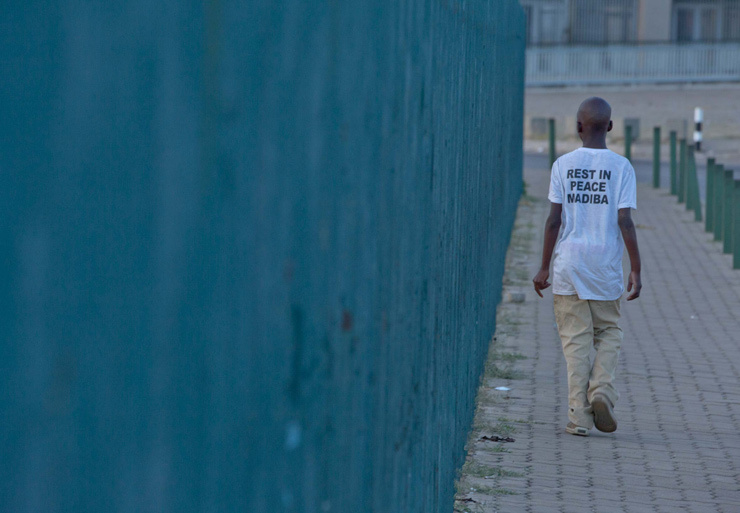 “I witnessed Martha engage with people with so much respect while she searched for the similarities between Sowebo, in Baltimore – her hometown, and Soweto for her latest project Soweto/Sowebo. 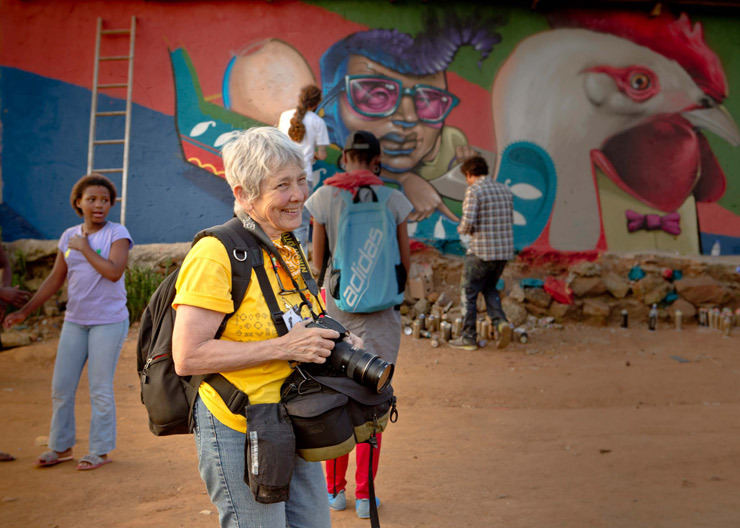 She shared some of the work she has captured thus far with me while I was visiting her in New York a few weeks ago. 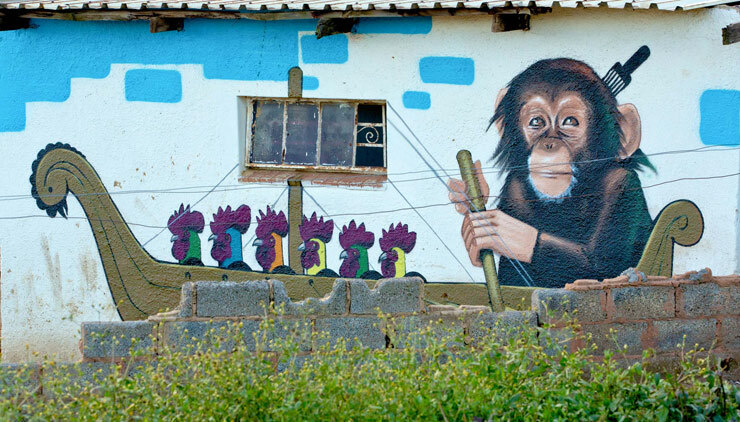 It was calming and honest, sensitive and humorous, and revealed that these two places that are worlds apart that are perceived to be so different, are more similar than one realizes – and her anthropological eye is trained to capture the common threads of humanity that intwine us,” Pybus tells us. 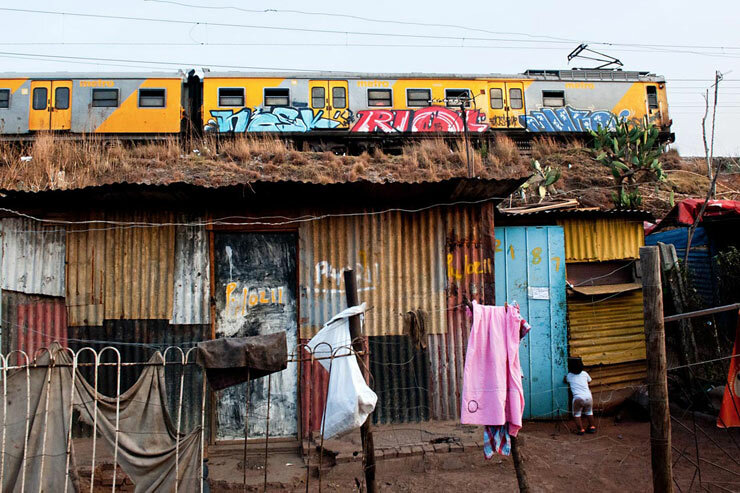 “On my last day in Soweto as the sun set, the trains started to fill up, so much so that people start riding the front of the cars. 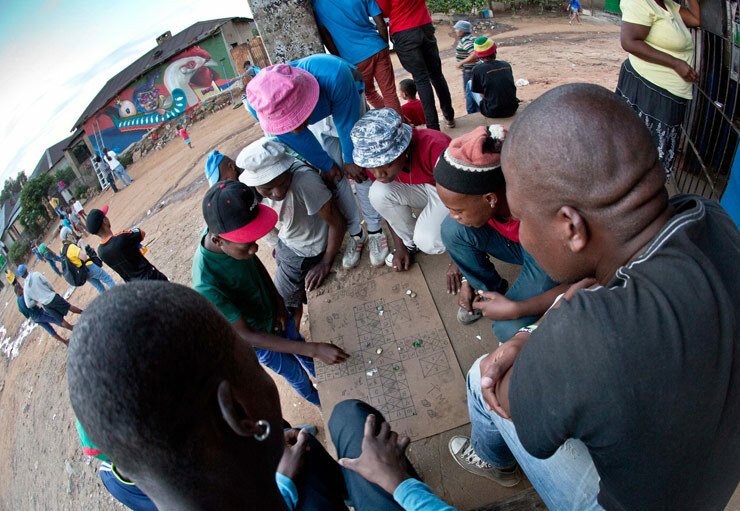 South Africa has developed so much in the last 20 years, but while standing in Kliptown one would be forgiven for thinking not much in the way of improvement has been done since its first brick was laid,” says Rowan. 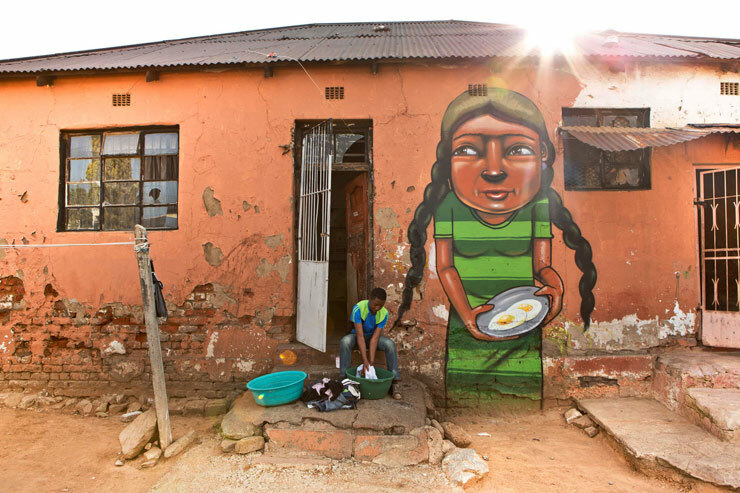 As part of a 10 day Social Innovator workshop, a group of artists were invited to Soweto including photographer Martha Cooper(USA), artists Falko (RSA), Rasty(RSA) and Mundano (Brazil). 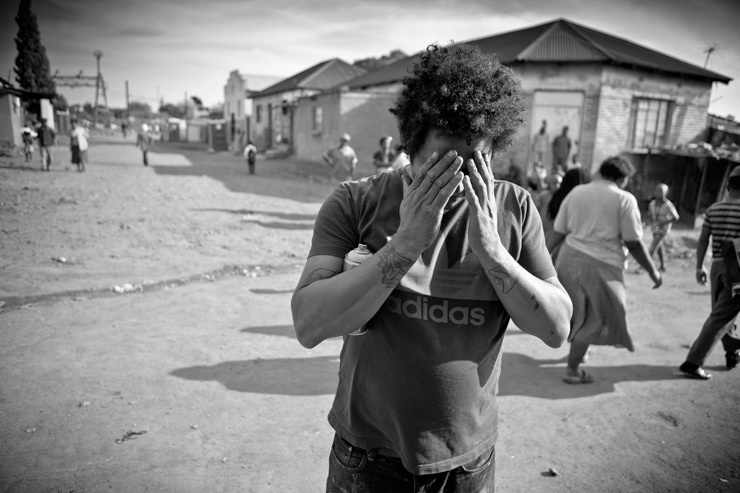 Thank you to Rowan Pybus @makhulu_ for sharing his images and words with BSA readers. 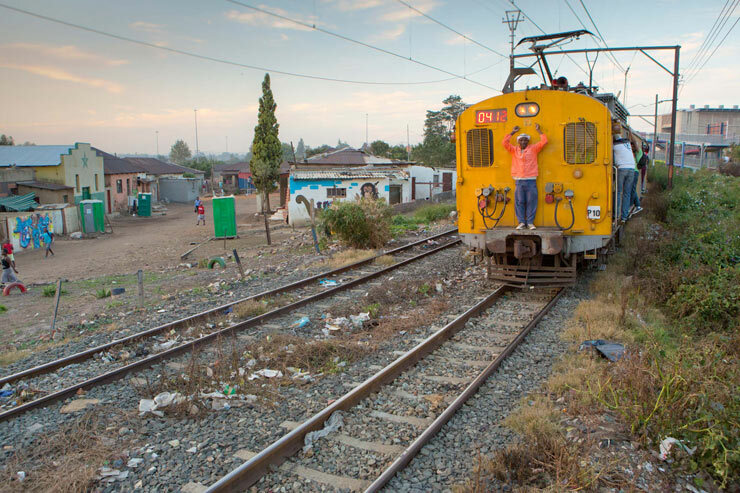 13 from 2013 : Martha Cooper "A Train Runs Through Mandela's Kliptown"